Stapleton, like much of Staten Island’s North Shore, was hit hard by abandonment and disinvestment in the ’70s and ’80s. But development has begun to pick up there in the last few years, sparked by a huge residential project under construction on a decommissioned naval base along the waterfront. Now, another new building is headed to neighborhood. Plans were filed last week for a five-story, mixed-use development at 84 Prospect Street, between Bay and Van Duzer streets. The 51-foot-tall structure would replace two late 19th century wood frame houses. The building would have 4,259 square feet of retail space and 7,000 square feet of community facilities on the first floor. Forty-four apartments would occupy the upper floors, with 11 units per story. They’d be divided across 32,487 square feet of residential space, for average units weighing in at 738 square feet. Several apartments will have private terraces, and there will also be parking for 33 cars in the cellar. The residential part of the development only requires 22 spots, but the commercial and community facility spaces may have boosted the parking requirements for the project. Defonseca Architects will be responsible for the design, and Borough Park-based Ahron Kirzhner is the developer. Other big projects in the neighborhood include Urby Staten Island (formerly URL Staten Island), Ironstate’s sprawling, mixed-use development on the former Homeport naval base. There’s a seven-story residential building in the works just down the street at 41 Prospect Street, and BFC Partners is developing a 214-unit affordable rental project on Bay Street. 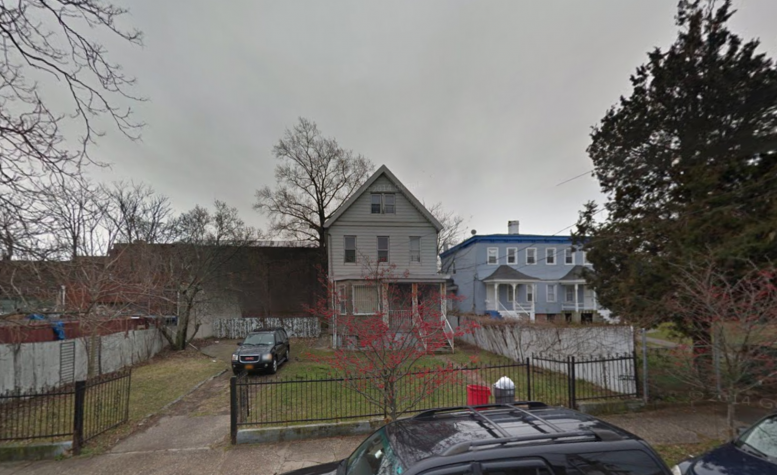 4 Comments on "Permits Filed: 84 Prospect Street, Stapleton, Staten Island"
Cloudy and sharp hat on the roof, little skyline in my mind forever. Parkings for commercials and community facilities in great needed! Retail on a desolate block like that? Will be hard to rent.